Courses that I am imparting this semester. I conduct research in Mobile, Pervasive and Cloud Computing. 21.01.2019 PerCrowd program 2019 is online! 1 keynote talk, 8 papers and a panel discussion on "AI-powered Multi-Device Systems and Applications"
10.12.2018 I am serving as TPC for HotSALSA 2019 co-located with IEEE INFOCOM 2019. Please consider submitting your work in progress! 22.10.2018 My proposal Opportunistic Device to Device (D2D) communications for mobile sensing got the Nokia Jorma Ollila Award 2018. 19.09.2018 Invited talk, Regularity optimization of sensor measurements , Finland-China-Germany Workshop on Mobile Networking, Analytics and Edge Computing, Shanghai, China. 16.06.2018 I am serving as organizer for PerCrowd 2019 (co-located with IEEE PerCom). Looking forward your contributions! Huber Flores is an Academy of Finland post-doctoral research scientist in the Department of Computer Science at the University of Helsinki, Finland. He obtained his PhD in computer science from the Faculty of Mathematics and Computer Science, University of Tartu, Estonia. 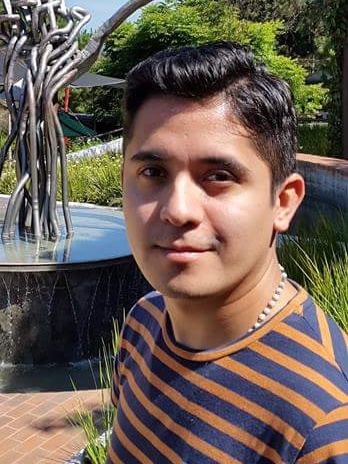 He received his BEng in Computer Science from the University of San Carlos of Guatemala, Guatemala and his M.Sc. in Software Engineering from a combined program between the University of Tartu and Tallinn University of Technology, Estonia. He is also member of ACM (SIGMOBILE) and IEEE. His major research interests include mobile offloading, mobile middleware architectures, and mobile cloud computing. NODES research - Pervasive Data Science Group, University of Helsinki, Finland. Center for Ubiquitous Computing (UBICOMP), University of Oulu, Finland. HKUST-DT System and Media Laboratory (SyMLab), The Hong Kong University of Science and Technology, Hong Kong.